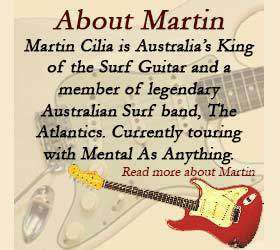 Also check out Martin's YouTube channel for the latest videos. Love your stuff Martin. Telstar is one of my favs! Too bad you are not in the united states. I love the surf style. 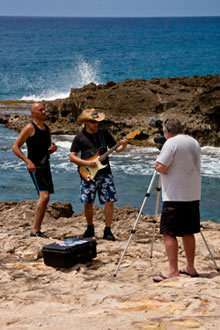 I use Fender guitars and a twin reverb. I taught my sons and now they play in chicago mostly. Hi Dave, I last played in the USA three years ago, I will hopefully get back sometime.